LAS VEGAS, NV--Sharp announces the new PN-325 32-inch class professional LCD monitor, which offers a new screen size for the most sophisticated commercial signage and display applications in both landscape and portrait modes. This new model joins Sharp's steadily expanding line of monitors that have been designed for professional applications and operate in both portrait and landscape mode. 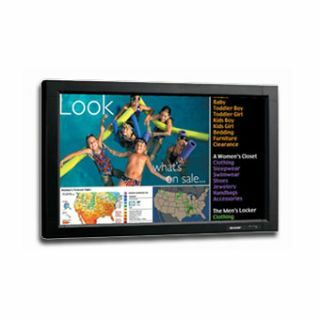 The monitor offers Wide XGA HD resolution combined with Sharp's proprietary Advanced Super View (ASV) panel. The PN-325 is available now for a MSLP of $1,495.